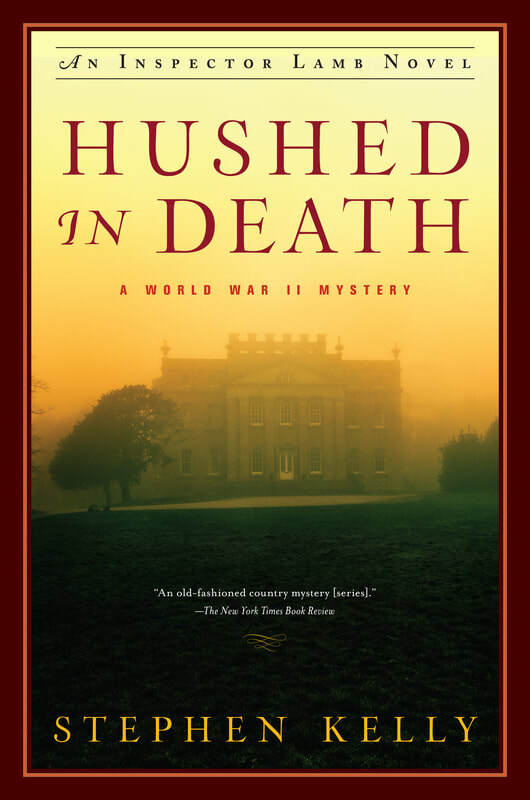 In the spring of 1942, with the war in Europe raging, a gruesome murder shocks the rural community of Marbury, where a once-grand estate called Elton House has been transformed into a hospital for “shell-shocked” officers sent back from the front lines. When Detective Chief Inspector Lamb arrives to solve the case, he quickly learns that the victim, Elton House's gardener Joseph Lee, had plenty of enemies in Marbury—and so he and his team have plenty of suspects. Along with his team of investigators, which includes his daughter Vera, Lamb begins to untangle the threads of rivalry and deceit that lie beneath the surface of the seemingly-peaceful countryside village. It soon becomes clear that Lee’s mysterious past is intertwined with the history of Elton House itself, which fell into disrepair a generation earlier after a shockingly similar murder. The mystery only deepens when Lamb discovers that one of the prime suspects has seemingly committed suicide. As Lamb pieces together the connections between the crimes of the present and those of the past, he must dive into the darkest, most secret corners of Elton House to discover who is committing murder, and why. In the late summer of 1941, as the war in Europe drags on, long-buried secrets begin to surface in the Hampshire village of Winstead, when the body of a young woman – a former conscientious objector - is found shot to death in the church cemetery. The woman’s only connection to Winstead seems to be that she lately has joined a group of conscripted workers who are building a prisoner of war camp on an abandoned farm near the village. But Detective Chief Inspector Thomas Lamb, who is called in to solve the case, has his doubts. ​The mystery deepens when workers at the farm find the remains of a child in the foundation of the old farmhouse, and a tramp who had been squatting in the wood near the church turns up dead. Lamb soon begins to suspect that the crimes might be related to a tragic event that occurred in Winstead more than twenty years earlier. As he pieces together the connections between the crimes, Lamb draws closer to the source of evil in Winstead’s past and present and, in the end, must risk his own life to uncover the truth. NOW AVAILABLE IN PAPERBACK. BUY IT AT THE LINKS BELOW. "An evocative debut with a dark secret at its heart, The Language of the Dead grips from the beginning and refuses to relinquish its hold until the final page." As the shadow of World War II descends over Europe, Detective Chief Inspector Thomas Lamb hunts for an elusive killer behind the veil of a seemingly charming English village. German bombers are arriving daily, seeking to crush England. But in a rural Hampshire village, life has remained relatively quiet—until an elderly loner, Will Blackwell, is brutally murdered. The method of his killing bears the hallmarks of the traditional vanquishing of a witch and, indeed, local legend claims that as a boy Blackwell encountered a ghostly black dog sent from the devil, who struck a bargain for Blackwell’s soul. Not long after the murder, a young woman who is carrying the illegitimate child of a fighter pilot also is violently killed; then a local drunkard ends up in the race of an abandoned mill with the back of his head bashed in. As the Germans continue their relentless attack, Lamb rushes to solve the crimes. Do the killer’s motivations lie in the murky regions of the occult?